Learn Step by Step Guide To Recover Deleted/Lost/Corrupted Photos From DSLR Camera Easily! Have you lost your precious images you have taken on your DSLR camera? Do you want to recover deleted photos from DSLR? If “Yes” then do not worry! This page introduces the complete and the perfect solution to recover deleted or lost photos from DSLR camera on Windows and Mac computer. 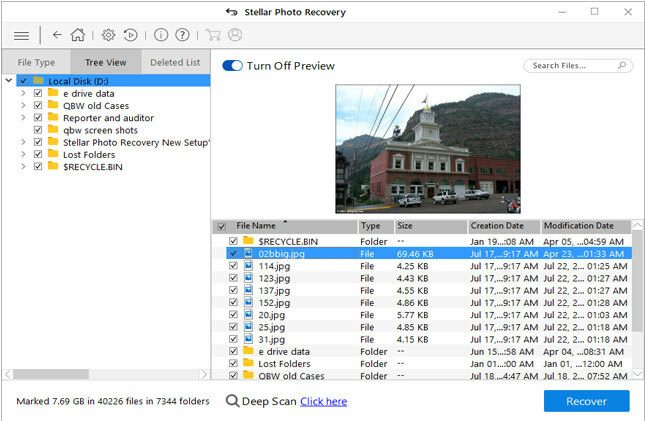 One of the best ways to recover deleted or lost photos from DSLR camera is to use Photo Recovery which is reliable DSLR Camera Photo Recovery software. 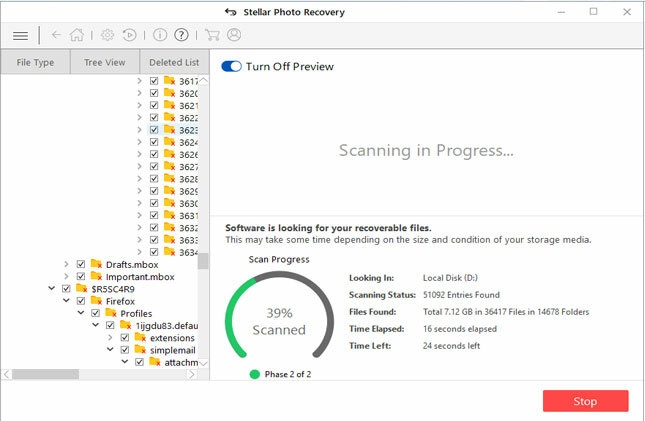 Recover lost/deleted/corrupted/erased photos from DSLR camera. Get back lost images from any DSLR camera brands like Nikon, Canon, Olympus, Samsung, Sony, Fujifilm, Panasonic, etc. Restore RAW images of different file formats like CRW, CR2, NRW, NEF, ORF, etc. Apart from photos, it also recovers video clips from different DLSR camera. It’s easy to use due to its user-friendly interface. It is compatible with both – Windows as well Mac operating system. The DSLR camera uses SD/SDXC/SDHC type of memory card for storing its photos and videos. When you are using this device you carefully need to protect your files from data loss. A simple mistake in handling this device may corrupt the memory card stored in the device and you may deal with the loss of photos and videos from the DSLR camera card. Due to mishandling the camera you can easily lose your entire precious stuff from your camera’s memory card in just one click. This can be a very depressing situation where you silly mistake can lead to deletion of your precious photos. Photos represent a sweet and cherished moments of our past life, therefore, it plays an important role in our lives. But due to some situation, you may get worried about losing your treasured memory photo files due to mishandling caused because of your silly mistakes. Here are some examples that you might come across or may have heard of from your friends and neighbors. Sometimes when you are busy in capturing pictures from your camera then you may select the “Delete All” option instead of removing single image from the camera. It may lead to a very frustrating situation which you have ever found. Just have look at real user practical scenario! There have been many DSLR camera users out there encountering with loss of photos and videos from their Nikon, Canon, Sony, Olympus DSLR camera. There could be several reasons that are responsible for the loss or deletion of photos on the DSLR camera. Some of the common causes are mentioned below! Additional Reading: Nikon Camera Photo Recovery: Recover Deleted/Corrupted NEF Images! Formatted SD Card – If you have formatted the memory card for whatever reasons either in the camera when the card is present in the camera or either from the PC. In such cases, you can easily recover all your deleted data as long as the card has not been touched after its last format. The formatting of the memory card can actually delete all the images from the card and makes it prepare for writing. Accidentally Deleted Images – All the deletion of the images can be caused on the DSLR camera card due to accidental or mistakenly deletion. Nonphysical Damage of DSLR Memory Card – The memory card may fail during the process of writing the images on the corrupted card. This error may cause due to the occurrence of the bad sector on the memory card or due to virus attack. This can lead to inaccessibility and loss of data from the memory card. Nonstop Clicking Pictures – Continuously capturing of photos from your DSLR camera may result to huge amount of data loss situation. Improper Removal of Memory Card – Due to abrupt removal of memory card from the DSLR camera may also lead to loss of pictures and videos. In any of the above mentioned causes, you may encounter with the loss or deletion of photos and videos on your DSLR camera. 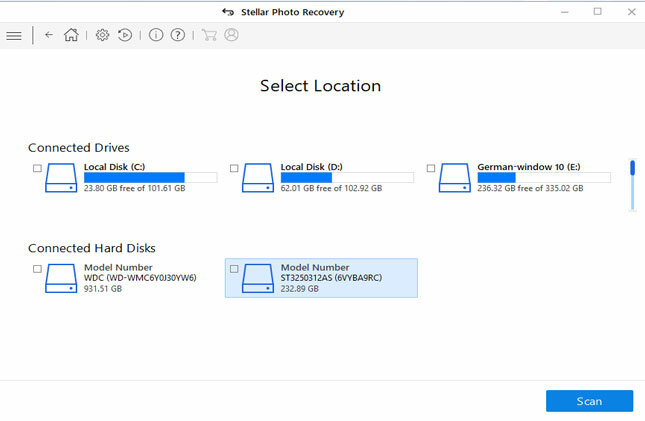 So, when the photos and videos get deleted from DSLR camera then it may be hard to retrieve the deleted pictures but luckily you can easily recover delete or lost photos from DSLR camera with the help of reliable photo recovery software in the absence of backup file. To overcome this situation of photos loss can easily be restored with the help of Photo Recovery which is professional, perfect and powerful DSLR Camera Photo Recovery software. 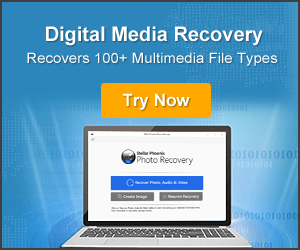 It is the best media file recovery tool that recovers all the deleted photos from the DLSR camera such as Canon, Nikon, Sony, Olympus, Pentax, etc. It recover both RAW as well as normal image file format such as NEF, NRW, SRF, CRW, CR2, ORF, JPG/JPEG, PNG and so on. The tool comes with advanced scanning option that helps you to perform complete scanning of the device and provides an efficient way for recovering deleted photos files from the DSL camera. The best part about this DSLR Camera Photo Recovery software is that it is available for both Windows and Mac computer. 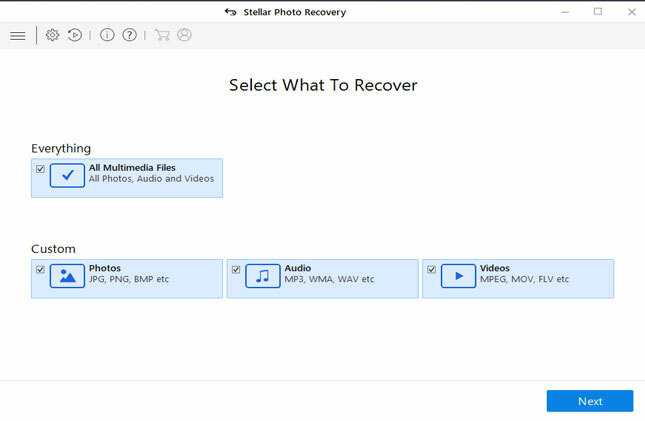 This Photo Recovery software for DSLR also restore videos and audio files from different types of camera card such as SD, miniSD, microSD, SDHC, SDXC, MMC, CF, etc. 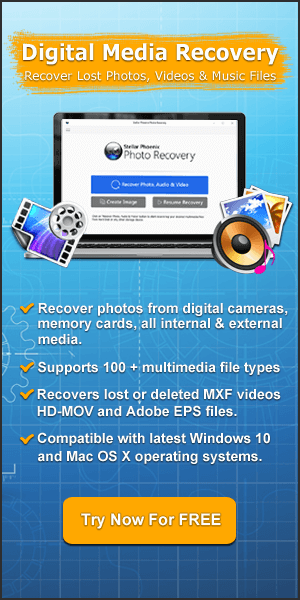 Effectively retrieve photos lost photos from corrupted, formatted, damaged, broken, virus infected DSLR camera card. Note: After the deletion or loss of photos from DSLR camera card, you must stop using your camera and do not click any new photos from it and do not add any new data to the camera card. Adding new files will overwrite the existing data and you may lose the chance for successful photo recovery. Invest on reliable memory cards. 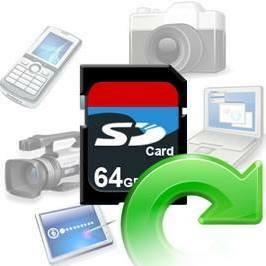 Make a secure backup of the DSLR memory card. Make a backup files which are stored on the separate drive while importing photos. If your camera has dual memory slot then use back up mode of both the memory card. Format your SD card after each use and format it on the camera itself not by the computer. As of now I hope you have got the right and best solutions to recover deleted or lost photos from any DSLR camera like Canon, Nikon, Olympus, Pentax, Sony, etc. 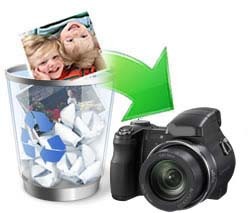 If you have a backup of your deleted DSLR camera photos, then you can use that backup files to restore it. But in absence of backup, it is highly recommended that you must use Photo Recovery software. 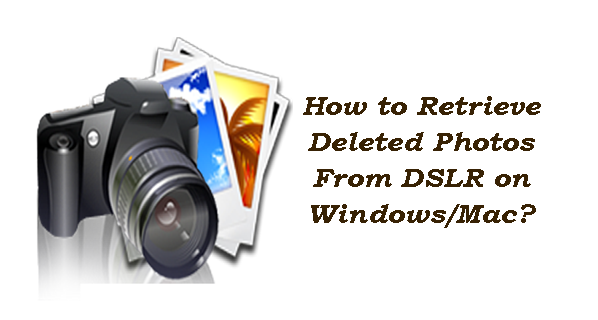 How To Recover Deleted or Lost Photos From DSLR Camera On Windows/Mac. If you have accidentally deleted or lost photos from DSLR Camera? Here learn to recover deleted photos from Nikon, Canon, Sony DSLR camera.